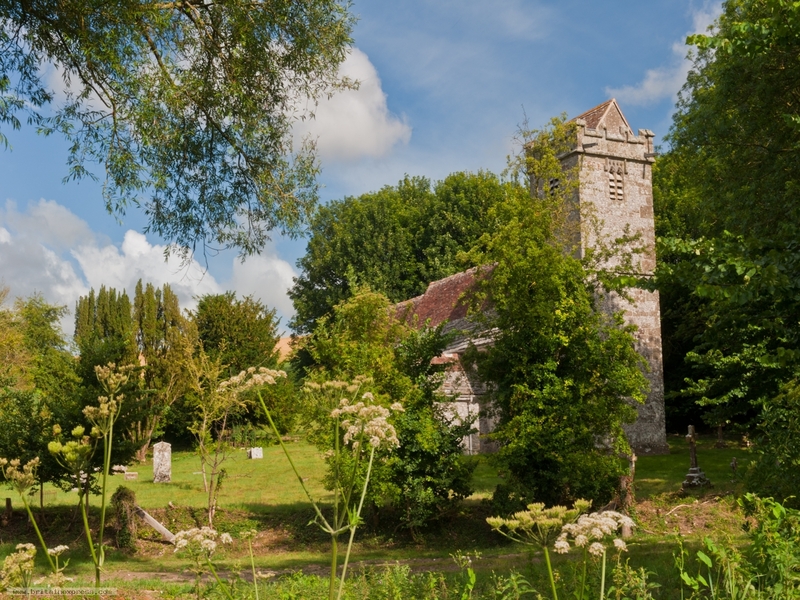 The medieval church in the Dorset village of Tarrant Crawford is tucked away at the end of a private lane, surrounded by farm fields and the ancient remnants of Tarrant Abbey. Within the church are fantastic medieval wall paintings and stone coffin lids traditionally said to be those of Cardinal Poore and Joan, daughter of King John. The sun was playing hide and seek, so it took over a dozen attempts to get this photo with sunlight on the church!